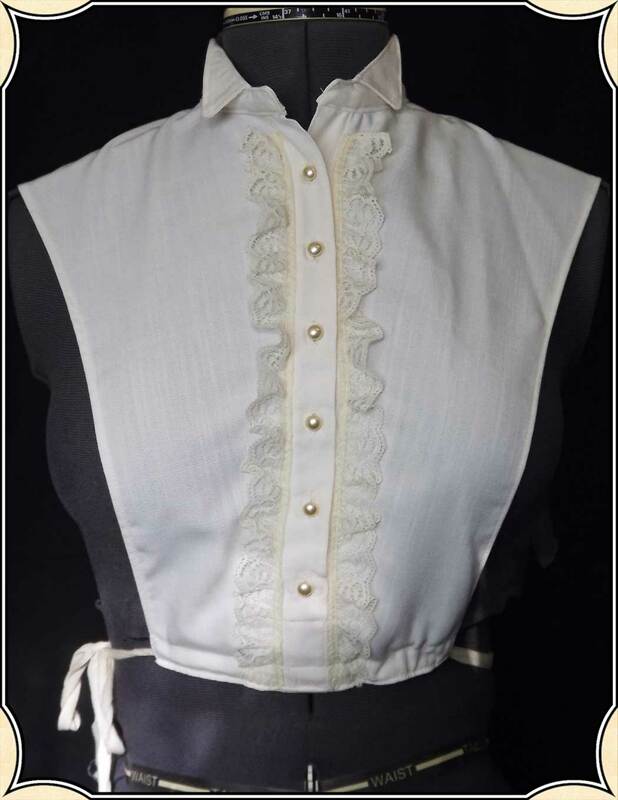 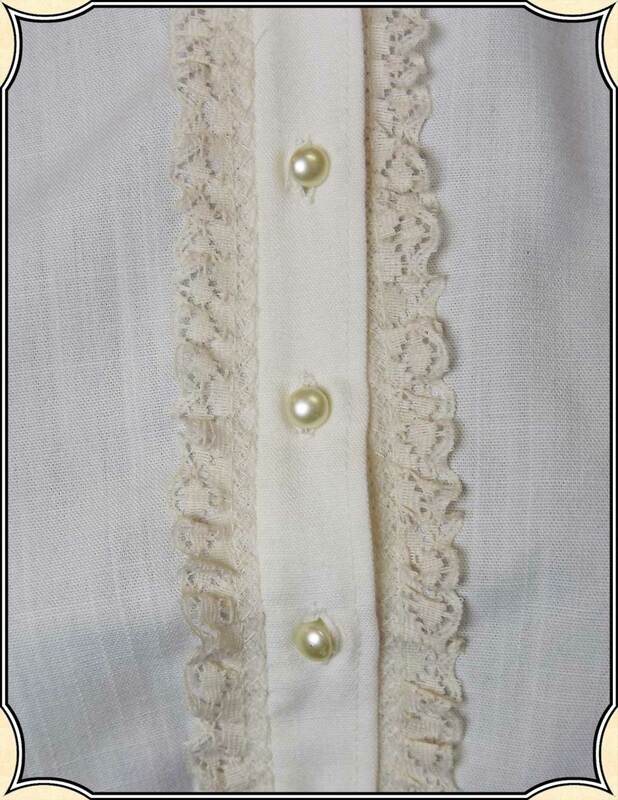 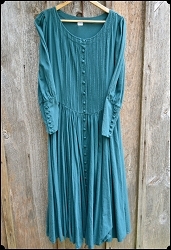 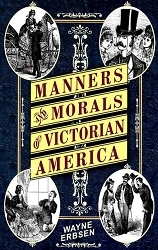 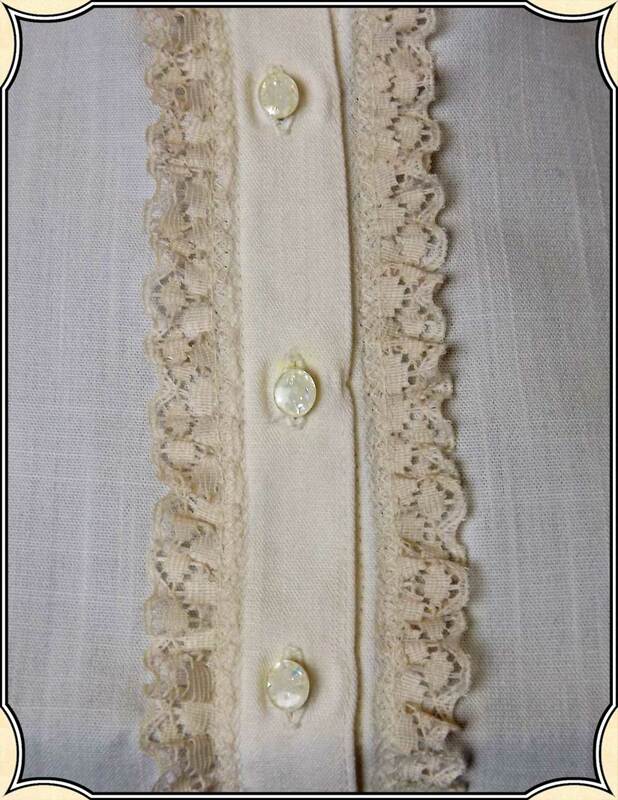 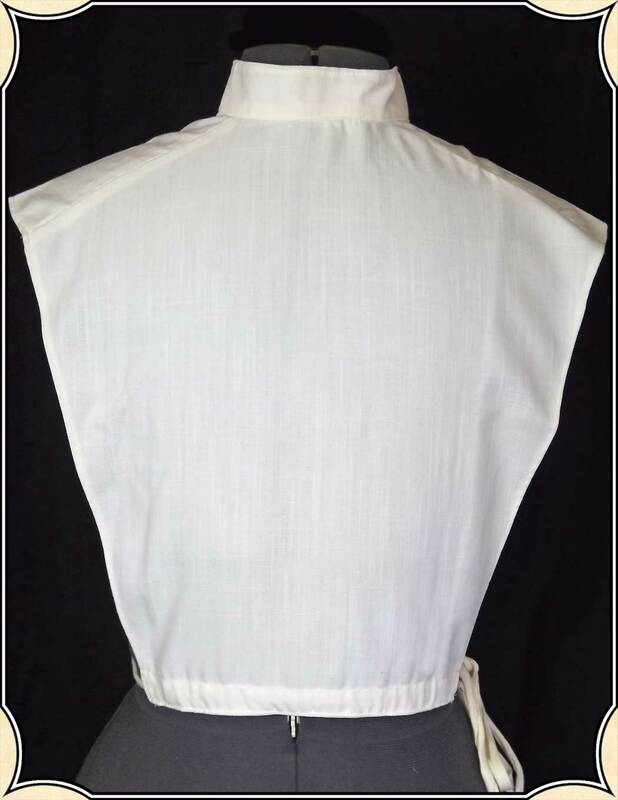 A chemisette (from French, "little chemise") is an article of Victorian women's clothing worn to fill in the front and neckline of any garment. 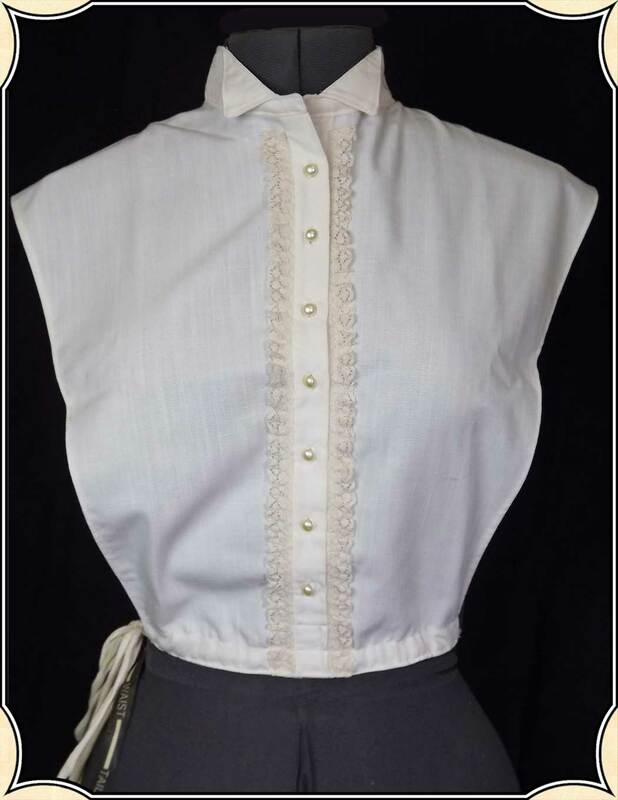 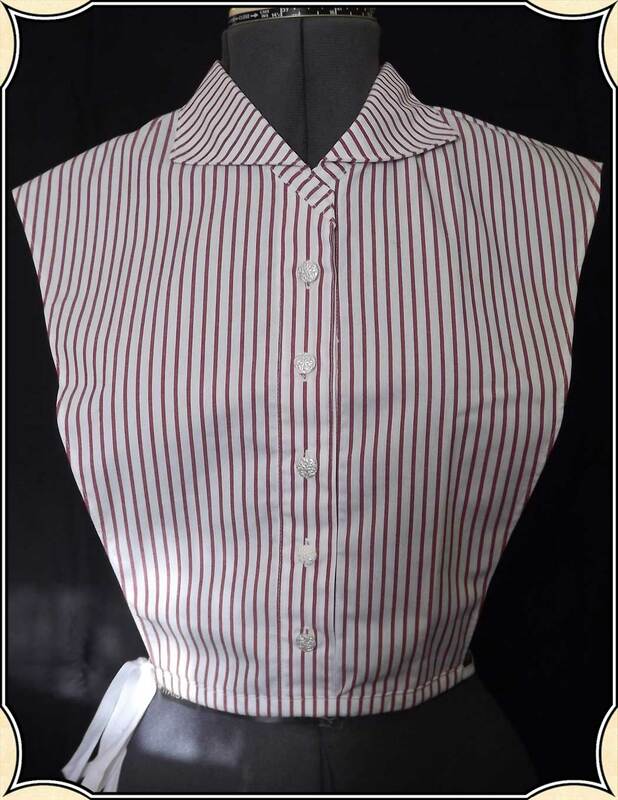 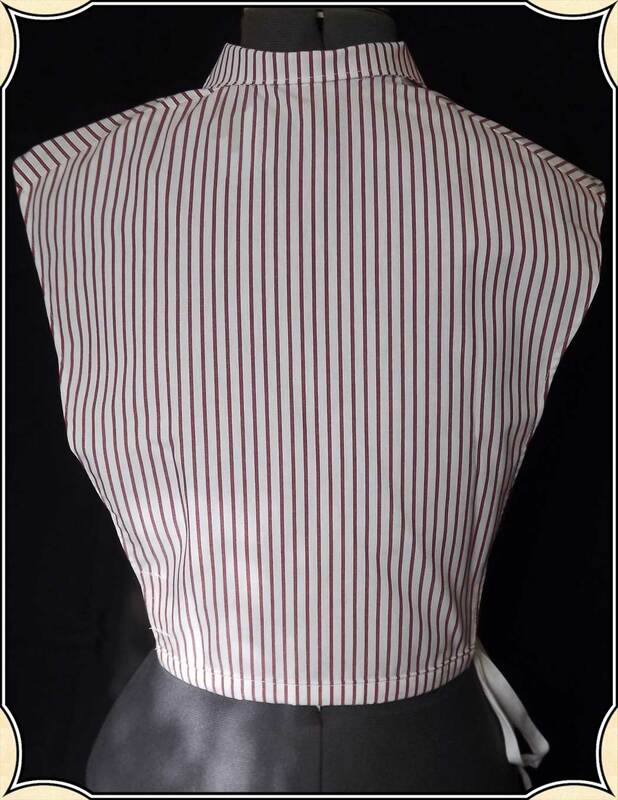 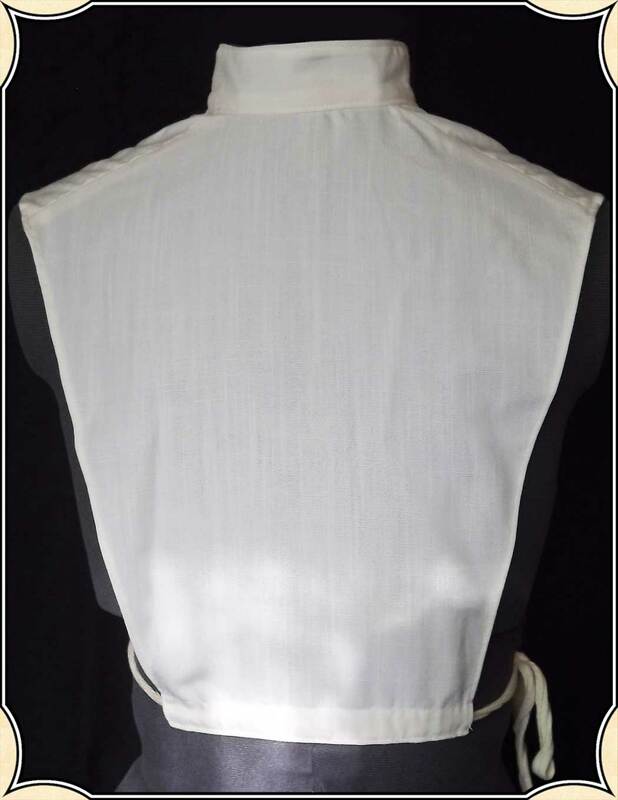 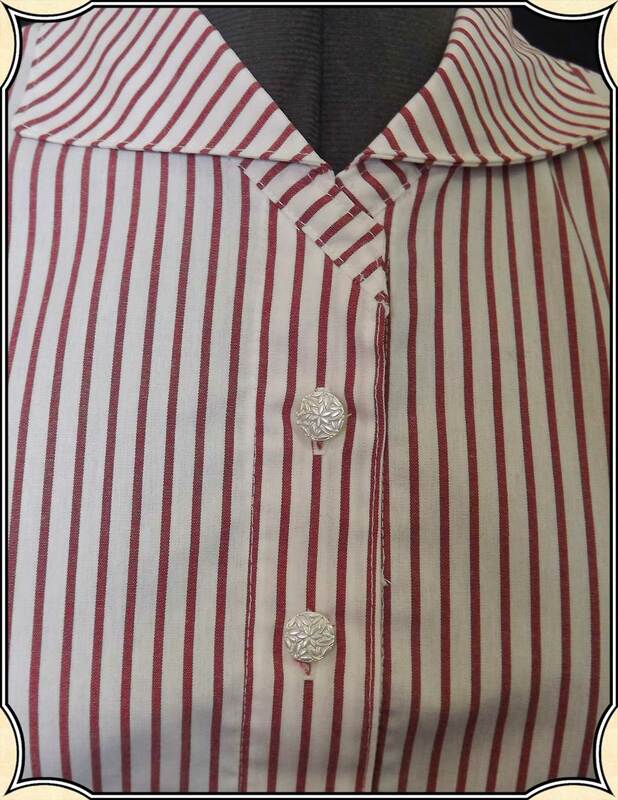 Chemisettes give the appearance of a blouse or shirt worn under the outer garment without adding bulk at the waist or upper arm. 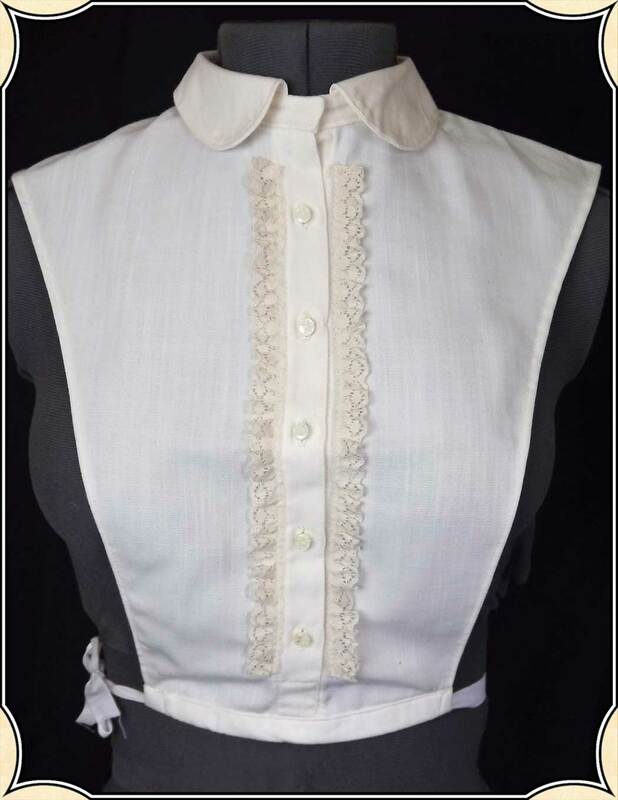 Chemisettes were often worn with day dresses in the mid-19th century, and could be decorated with tucks, embroidery, or lace. 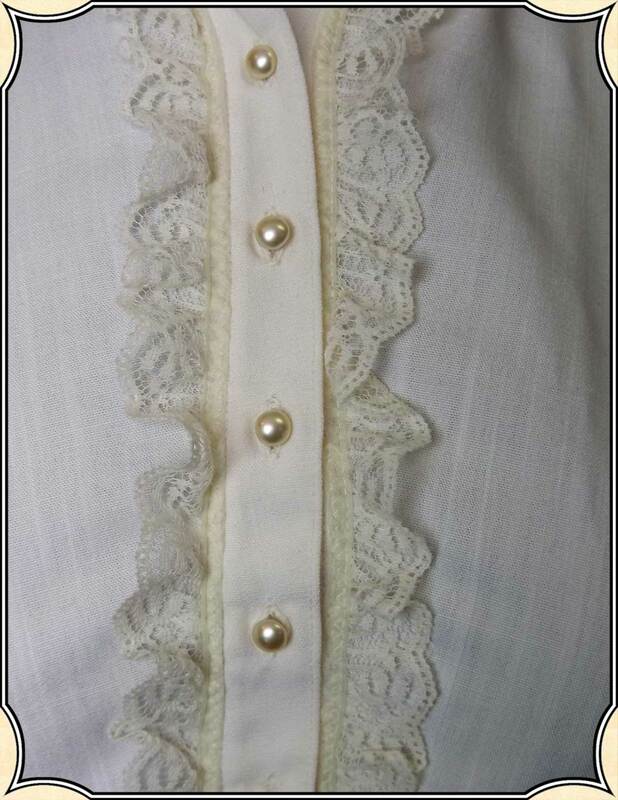 During the 1850s and 60s when wide pagoda sleeves were fashionable, the chemisette might have matched the engageantes or false under sleeves. 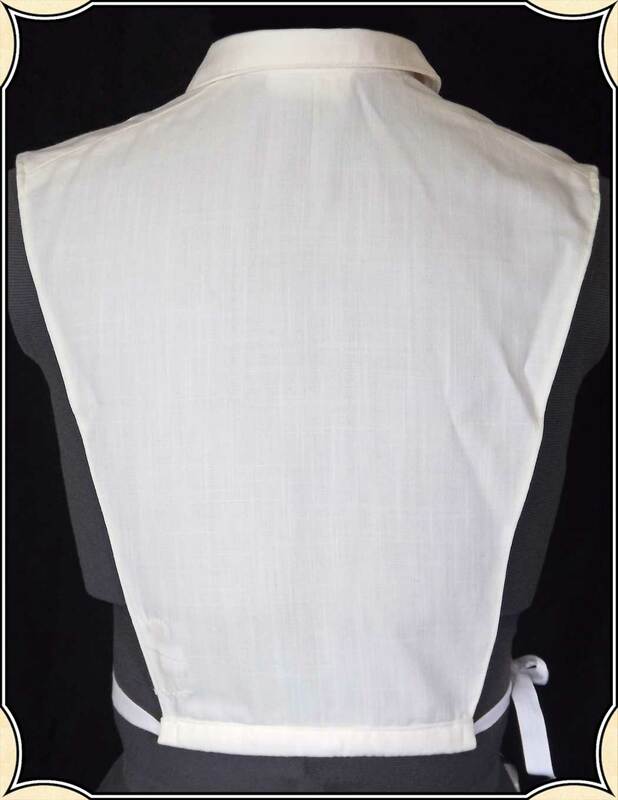 With a draw string, these tie at the waist on one side for easy use with any outfit.We only have the colors and sizes listed so get your choice ordered today, before they are gone.